All easyfones are inbuilt with clearly audible and louder than average sounds for easier listening. It makes conversations more comfortable and the loud ringtones ensure you don't miss your calls. The Grand: Equipped with the latest unique technology that amplifies sound, be it during a phone conversation or while watching TV. It is India's only phone with this capability. 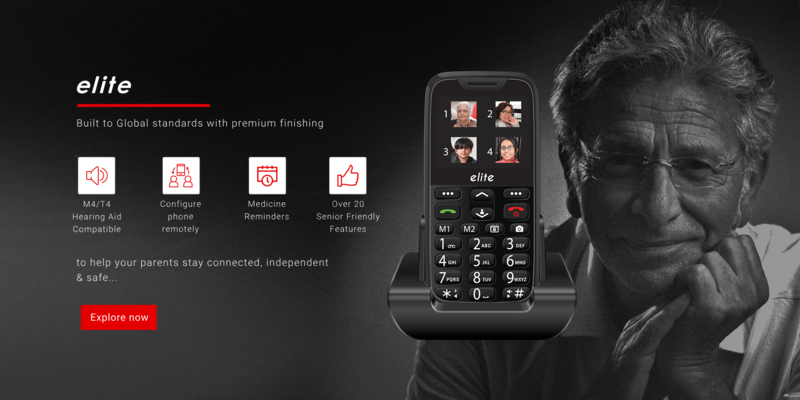 Royale or Elite: Exclusively designed for those who use hearing aids with the highest hearing aid compatibility rating of M4/T4. 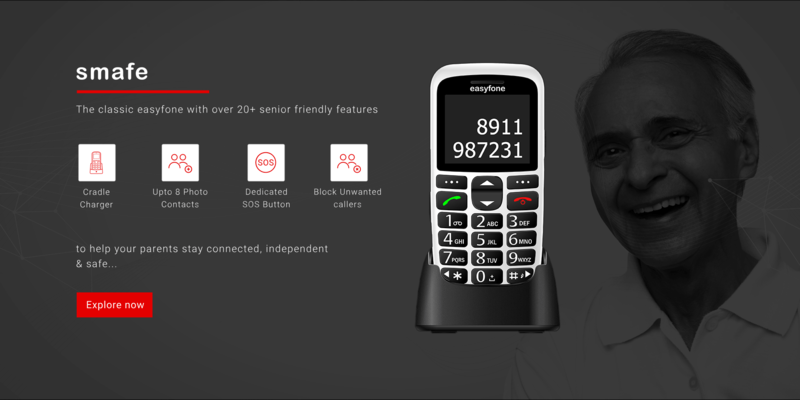 A first in India, this powerful service lets you configure the easyfone remotely from anywhere in the world. So you are always there - no matter how much distance separates you from loved ones. Set reminders for medicines, social engagements and important tasks from anywhere in the world. 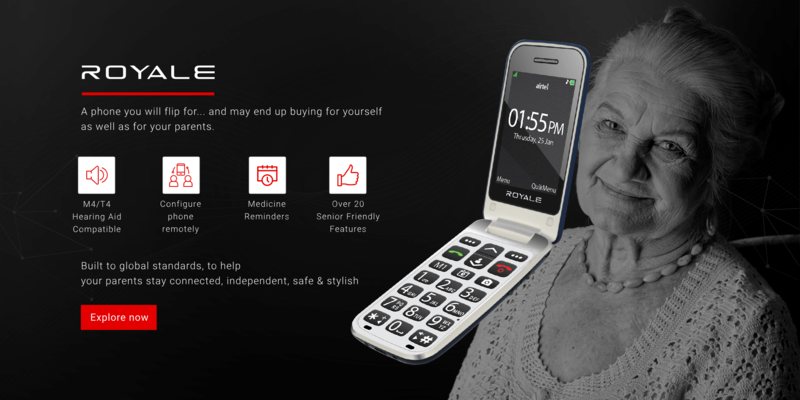 This can be done for your loved ones using CareTouch. Use CareTouch to set prompts for wellness updates from your loved ones at pre-defined times everyday. By pressing 1 button, your loved ones can share how they feel with you! No more struggling with tangled charging wires. Easyfone's cradle charger makes charging safe and easy with its wireless design. Helping your loved ones stay connected and always charged, even during emergencies. The easyfone's dedicated SOS key and advanced features can help you save valuable time in an emergency. A single press of the SOS button automatically triggers a siren to alert nearby people; sends SMS messages to upto 5 emergency contacts. These messages will contain a help message, location details, battery strength & medical information and also calls them on a rotation repeatedly (upto 3 times) till the phone is answered by one of them. The best part is that these settings can be configured remotely with CareTouch. Easyfone's easy to navigate menu can be made even simpler by hiding the menu features ( on select phones). This can easily be configured using CareTouch anywhere in the world. 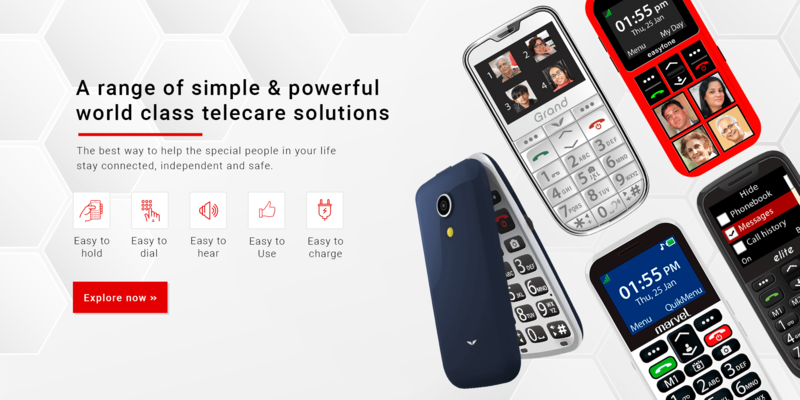 Instead of tedious dialing, these phones are equipped with photo contacts so that calls can be made with the click of a button. This is effortless and quick, making it easy for your loved ones to reach out without even using a phonebook. Now enjoy the benefit of Home service with your easyfone. Complimentary Home Pick up Service is available at over 5000 pin codes across India during the warranty period for defects covered under warranty. In case the customer chooses to courier the easyfone at his cost to our office, we will reimburse upto Rs 75/ to the customer during the warranty period for defects covered under warranty. Please call out Customer service team on (+91) 88006 88007 between Mon and Friday (10 am to 6 pm) for more details or for requesting a pick up. Now enjoy the benefit of Home service with your easyfone. Complimentary Home Pick up Service is available at over 5000 pin codes across India during the warranty period for defects covered under warranty. In case the customer chooses to courier the easyfone at his cost to our office, we will reimburse upto Rs 75/ to the customer during the warranty period for defects covered under warranty. Please call out Customer service team on 88006 88007 between Mon-Fri (10:00 am to 6:00 pm) for more details or for requesting a pick up. The easyfone comes with a dedicated SOS button & advanced features to help you save precious time - which can make all the difference in an emergency. automatically calls 5 nominated emergency contacts by rotation repeatedly (upto 3 times) till the phone is answered by one of them. set off a siren to alert people in your proximity. 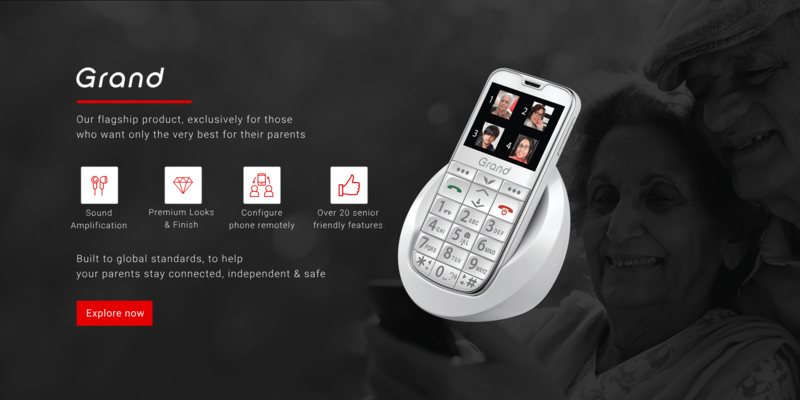 The first 5 features enabled by CareTouch are part of the Gold CareTouch package- which is available on a complimentary basis for 12 months from date of activation or till 30th Jun 2019, whichever is earlier. “Wellness updates” are part of the Platinum package. This feature is currently in trial phase and will be available on a complimentary basis till 30th June 2018. This will need to be purchased post that. © 2018-19 SeniorWorld. All Rights Reserved.